There are always plenty of backpacker jobs to help you to finance your travels. There is only one thing - you do need a visa that allows you to work in Australia. The most popular such visas are the working holiday visas that allow you to stay in the country for a year, and if you work enough in right places, for a second year. The most popular such jobs are fruit picking jobs. It is amazing how many backpackers flock in the areas where the season starts, and those jobs are not hard to get. A good advantage is also that those jobs get you around in Australia, instead of spending all your time in Australia in the same city. 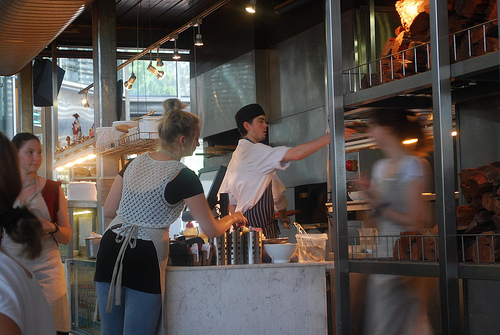 Another popular type of backpacker jobs is within the hospitality industry. It is usually not too hard to get a job as a waitress in Australia (as opposed to Europe where at least in the older days waitressing used to be a properly educated occupation and not just a casual job). Even easier is it to get a barmaid job in outback pubs. They need staff, they like backpackers, and for the backpackers themselves they are a great break from the busier areas and an excellent opportunity to stay and experience the true Australian outback. Outback cattle stations and farm stays also employ backpackers. These tasks can be a little more unfamiliar for an average backpacker, but a great opportunity to learn about the real life in the Australian outback.